Explore the tools available to determine where the most appropriate location is for the needs of the business. The objective is to identify the critical economic and market-based factors that contribute to the sustainability of new and existing businesses. Explore the commercial and legal issues a business owner faces in leasing commercial property. Before you sign that business lease, learn about: using a tenant broker; understanding the relationship between the broker, lessee and lessor; lease terms, letter of intent, exclusivity, triple net leases, and coming area maintenance; sections of the lease that bind the landlord and tenant. 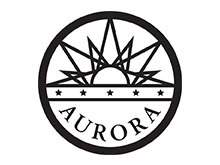 Please read our cancelation policy at http://www.aurora-southmetrosbdc.com/cancellation-policy .